For medical issues that don't happen "on schedule." Whether you are a stay at home parent or working full-time, you understand how busy each day can be during typical “business hours.” At Longstreet Clinic Pediatrics, we know that medical issues don’t always happen during “normal” office hours. That’s why we offer extended hours 5:30 to 9:00 p.m. Monday through Friday in Gainesville. 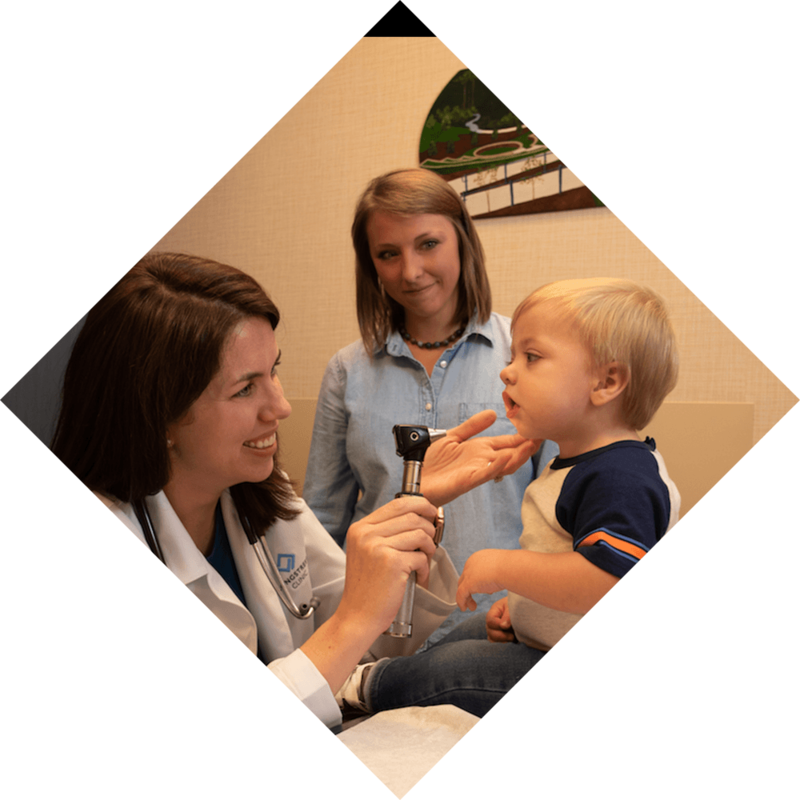 Our Pediatric Urgent Care is staffed by board-certified pediatricians, pediatric-trained nurse practitioners and physician assistants who work all day, every day, with children. We take care of kids of all ages, from toddlers to teens, and have X-ray and lab on-site. Whether it’s a sudden illness or an on-field injury, our pediatricians are ready to take care of your child. Our providers treat sick or injured patients in an urgent care setting on the third floor of our 725 Jesse Jewell Parkway SE location in Gainesville. No appointments are necessary. For pediatric care during normal business hours, click here. Please call 9-1-1 if your child experiences a life-threatening emergency. For everything else that can’t wait until tomorrow, look to the board-certified physicians Longstreet Clinic Pediatrics.